The Fat Panther is excited & honored to be an affiliate partner of James Dunne’s Kinetic Revolution. 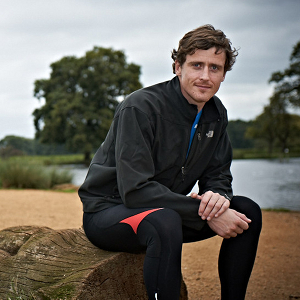 James is a running coach, holds a degree in Sports Rehab and is an insured member of the British Association of Sport Rehabilitiators & Trainers. He’s a master of multiple disciplines and has worked with (among others) endurance runners, triathletes, track runners & soccer players to perfect and fix running issues to improve both performance and repair gait/stride related issues that cause pain, discomfort and potential injury. James is the real deal, he’s no fly-by-night guy, and has been published in a number of magazines including Women’s Running, Men’s Running & UtraFit Magazine. What James brings to the table is experience, innovation and a unique online coaching program that you can purchase here through The Fat Panther. The program is called “Better Running Form in Six Weeks” and will help you improve your efficiency, run faster, further and with less chances of injury. Over 1500 people have downloaded and used the program, and one of the perks of downloading is getting to join James’ members only forum, where you will gain access to individual coaching advice and added insight from Kinetic Revolution’s coaching team. The price is $29.32, (usually $66) and also includes a bonus 12 week “stronger hips/pain free knees” program download absolutely free. Don’t take our word it though. James offers a 100% money back guarantee for 2 whole months. That’s two weeks longer than the program. If you’re not totally satisfied with the program, James will refund your entire purchase, no questions asked. That’s pretty awesome, but totally unnecessary because if you’re looking to improve your running form, performance & efficiency there’s really not a whole lot like this program out there. CLICK HERE to go to James Dunne’s Kinetic Revolution site for more info and to purchase the download.